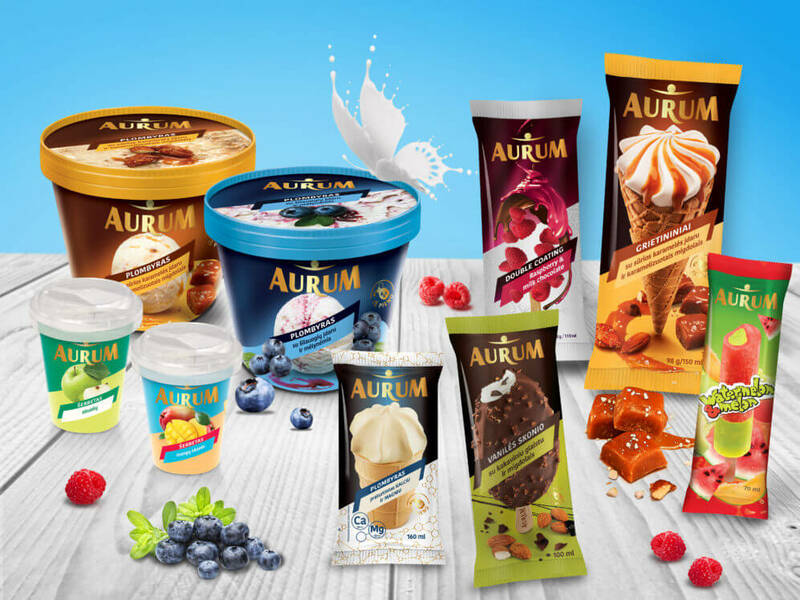 AURUM brand has been well known in Lithuania since 1997. Consumers value this brand for a wide range of high quality products. The ice cream of this brand contains at least 40% of fresh milk and no vegetable fats. Fruit ice cream is made from natural juice only. The brand TIRPUKAS has also been known to the Lithuanian consumers since 1997. In 2015 we updated this brand logo and the whole packaging concept. This is an assortment of ice creams for children. 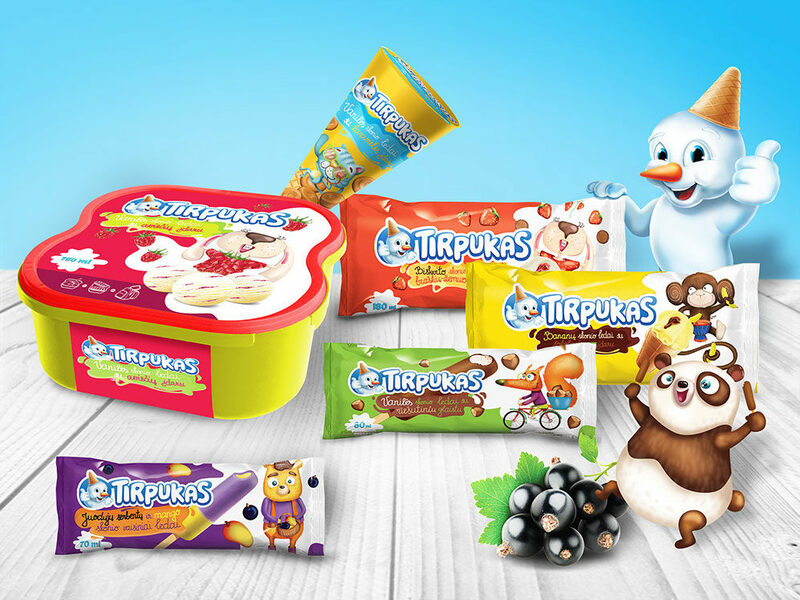 TIRPUKAS is not only a brand, but also a very popular character among children. He is always accompanied by friends on the packaging: LILĖ the Bunny, STEPAS the Sparrow, RAPOLAS the Kitten and others. TIRPUKAS ice cream is made of fresh milk and coconut oil. 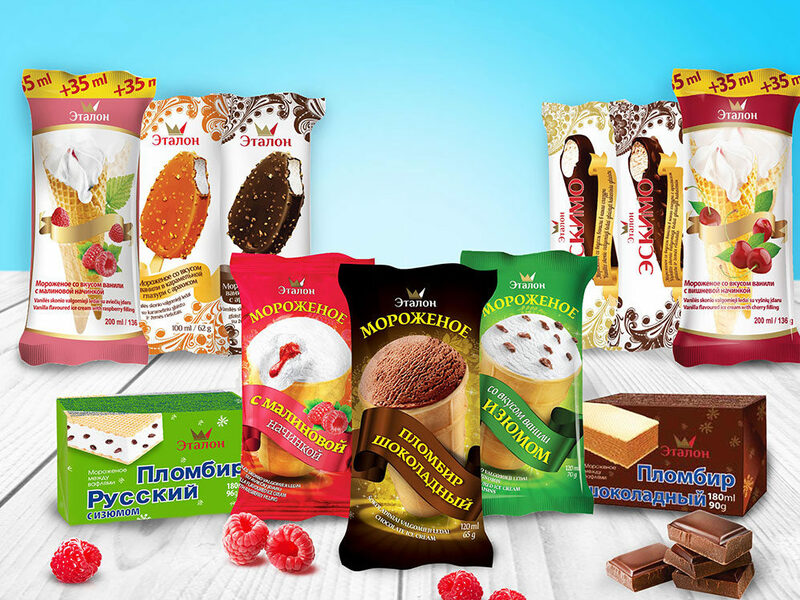 ETALON branded ice creams belong to the Russian ice cream line. ETALON ice cream devotees have nostalgia for “the good old days” and “ice creams from their childhood“. The ice cream of this brand is made of skimmed milk and coconut oil. 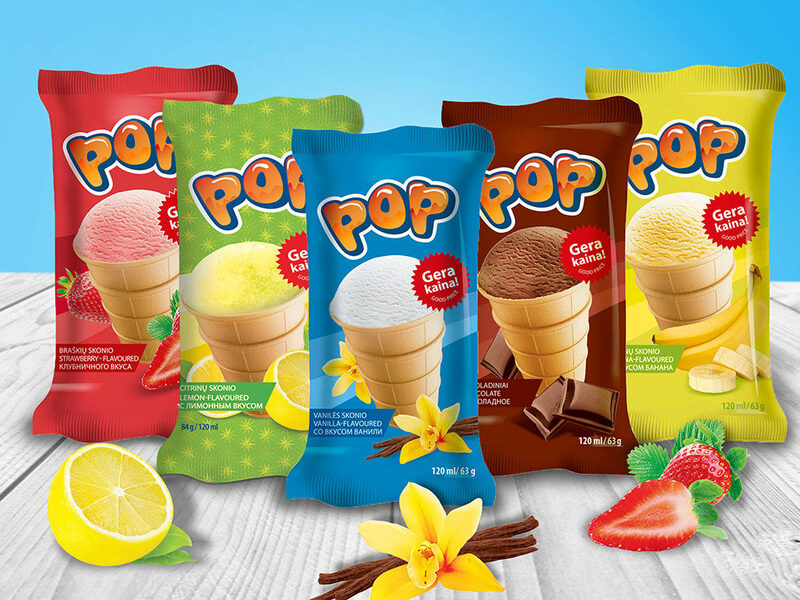 POP branded ice cream offers a very good price and quality ratio. This ice cream is also made of skimmed milk and coconut oil.